At WWDC today, Apple announced a new security feature for OS X called iCloud Keychain, a built-in password manager synced across the cloud. 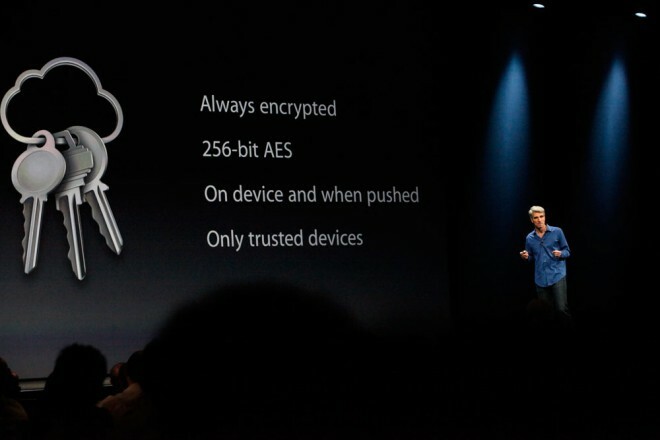 The new Keychain will store all of your passwords in iCloud so they can be synced across devices. It also helps users create strong passwords and stores credit card data. To keep that data secure, it only syncs to trusted devices, and it uses 256-bit AES encryption and does not store credit card security codes. iCloud Keychain will be available as a part of the new Mac OS X Mavericks. It looks like bad news for password managers like 1Password and LastPass.